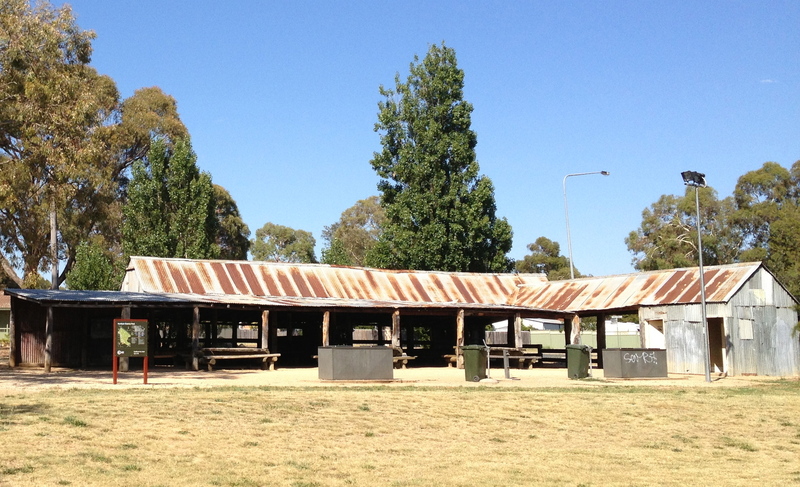 Anyone who knows trees may have thought that the Lombardy poplars (Populus nigra ‘Italica’) beside the woolshed in a recent post seemed out of character. However, poplars are ideally suited to Canberra’s hot, dry summers and were quite common near homesteads in the area. They are still scattered throughout the landscape, especially near watercourses. Only a few kilometres down the road from the woolshed is the Tuggeranong Town Centre – which appears to have been modelled on a Tuscan town – complete with terracotta-coloured roofs, ‘baptistry’ (library), shopping centre called the ‘Hyperdome’, and pseudo-bell tower. 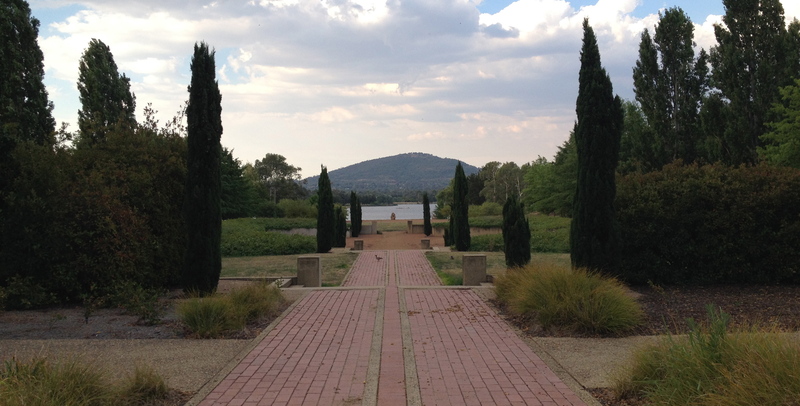 And the nearby Tuggeranong Town Park contains a line of poplars that marks the former boundary between two major rural properties and bisects a formal axis of terraced gardens punctuated with Mediterranean Cypress trees (Cupressus sempervirens or Pencil Pine) that leads to the lake. *** Unfortunately Lombardy poplars sucker and form dense stands that shade out and displace native vegetation, disrupt waterways and have an adverse impact on rare and threatened native species. They were listed as a prohibited pest plant species in the ACT Weeds Strategy 2009-2019 (ACT Government 2009). ‹ When did you last catch a real (or virtual) sunrise or sunset?